I was exposed to the Physical Therapist Assistant field after my divorce when I worked at a therapeutic horse ranch. Later, when I began really researching careers that might be a fit for me, my search led me to the PTA field. I wanted a career in the medical field that was active and had a hands-on type of relationship with people. I wanted a school with a good reputation and one that provided support. That's what made me choose Pima Medical Institute. During my first semester, I had to drop out because of my struggle with Anatomy and Physiology. But, the awesome staff at PMI met with me, they heard my heart, and encouraged me to reapply and I was accepted into a new class. Since I live an hour and a half drive from school, I was able to rely on my community to help with my children. It strengthened my faith and also taught me to rely on my classmates to help me study and learn. It was an amazing experience! I am currently working for Columbine Health Systems, where I had completed my clinicals as a student. I work at all 5 of their skilled nursing facilities. I love my job! I feel like I'm able to talk to the geriatric population in a way that helps them understand the reason behind why their physical therapy is important and how it can improve their quality of life. I carry the education and confidence PMI gave me each time I walk into a treatment room. I am so proud to be a PMI graduate. When a friend of mine signed up for the Medical Assistant program at PMI, he invited me to come along. I spoke with the directors and some students and the next thing I knew I was signing up for classes. 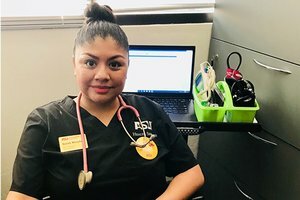 I chose the Medical Assistant program because when I was growing up I'd watched my grandparents needing help and also because I love helping others. I learned so much in the program. You not only grow as a person, but you grow as a family. I met some great people who became like my second family. Although the first day at my clinicals was scary, I also felt very prepared. It wasn't long before I was being hired for that same position. I started at the bottom at my first job, but quickly worked my way up to a lead position. I'm currently working at Southwest Gastroenterology Associates where I am learning a specialty. They pay for all of my qualifications and I'm being trained on the job as procedure technician. I help prepare the patients for procedures like endoscopies and colonoscopies. It requires me to have great bedside manner and to be prepared for anything. I also work side by side with a physician during procedures. PMI prepared me and gave me a great start and I've just kept learning. I completed the Veterinary Assistant program at Pima Medical Institute in 2012. Prior to that I had finished high school and was working, but just didn't really know what I wanted to do with my life. I love animals and I love to learn, so when I heard about Pima's VA program on the radio, I decided to give it a try. I was quite nervous when I started, but the teachers were really supportive. We had lots of discussion about what we were learning and tons of hands on practice. It was a really good learning environment for me. I ended up being hired at my externship site. It was great to transition from my experience there as a student to then growing into my job. I'm actually still working there and I'm still learning. This is one of the reasons I decided to come back to PMI for their Veterinary Technician program, because I want to grow and learn more. 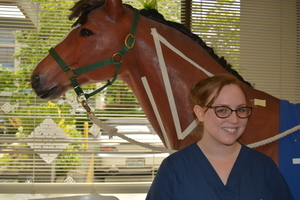 Becoming a Veterinary Technician opens so many doors and this program really immerses you in the field. In fact, I don't know of a better program! It's not easy and it's very accelerated, but it's worth it! I always wanted to be successful, but I wasn't sure what I wanted to do with my life until my son was born. 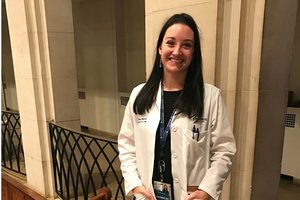 After a year of being a stay at home mom, I realized I wanted to find a position in the medical field where I could help others. I found Pima Medical Institute and enrolled in their Medical Assistant program. I chose this career path because there are endless job opportunities and I'm able to help others who need assistance. I was excited to put all the knowledge I'd learned in my classes to work at my externship site. As the end of my program neared, I began nervously submitting my resume to various facilities. I was so concerned I wouldn't get any responses. But, I started getting calls almost every day for job interviews and my worries went right out the window! I was blessed to get two job offers right away at a doctor's office and an urgent care. Two months later I received a call from a health insurance company and got the job I'd been longing for. I am proud to say I work for an amazing company that has given me the opportunity to be the OB Coordinator for six hospitals in the state of Arizona! 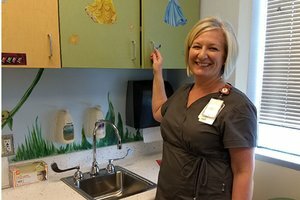 I am a Medical Assistant at Children's Hospital of Colorado where I work in the pulmonary department, and I love my job! Believe it or not, I wake up every day excited to come to work. I can't wait to see the families and kids. Way before PMI, I was trained in the animal science field, and later my husband and I ran an HOA management company for a number of years. 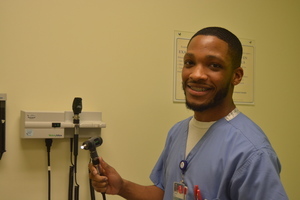 Unexpectedly, two family members became very ill, and walking through this very difficult experience led me to desire a career in the medical field. After finding Pima Medical Institute, I never hesitated. I thought of it one day, signed up the next, and started the Medical Assistant program a month later. It was not only the right timing, it was the right place, and it has been an amazing journey! I had a great student experience at Pima, and the instructors were amazing. They cared about us and were available anytime any of us needed anything. To be honest, they actually became more like friends than teachers. My current job is a perfect fit for me, and I'm so grateful for my training at PMI! While researching a career as a radiation therapist, I learned I first needed to complete my associate's in Radiography. I found Pima Medical Institute and was so impressed in my interview with the program director that I enrolled in their Radiography program. It's funny because I already had a bachelor's and was working on my master's, but it didn't matter because I had a goal. 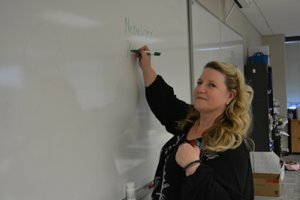 As an older student somewhat terrified to return to school again, I appreciated the instructors and the personal attention they were able to give to our smaller classes. The program was very focused, and I never felt like my time was being wasted. At the time I graduated, there was quite a need for radiography technicians, so I chose a job at a hospital that would completely reimburse my PMI tuition. It was a wonderful job, and I made many lifelong friends, but after 2 years, that same PMI program director pursued me to come teach at PMI. I was surprised to learn that I loved teaching! It felt like it was what I was meant to do. The satisfaction I felt helping patients morphed into the satisfaction I had in seeing my students become colleagues after they graduated. A few years into that role, I had the opportunity to become the clinical director, and after 10 years, I was promoted to faculty coordinator. Pima Medical Institute is my home. I love everything about working for this company, and I could not be happier! 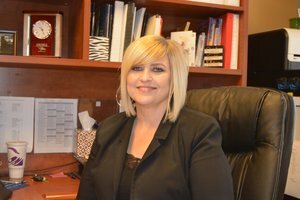 My name is Kari Allen and I recently graduated with my Doctorate in Pharmacy and am currently in my residency at John Hopkins Hospital. I plan to pursue a second year of specialty residency in either pediatric or emergency medicine, and ultimately work as a clinical pharmacist in an academic teaching hospital and it all started at Pima Medical Institute. After completing my bachelor degree, I was looking for a place to get training and experience in the medical field. 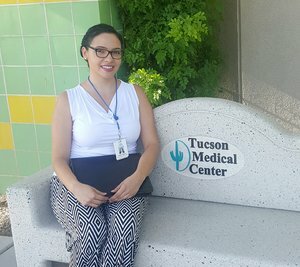 I had a friend who was doing well as a pharmacy technician and, after researching Pima Medical Institute, I felt like their program would meet my needs. The Pharmacy Technician program was not easy. It was a challenge balancing my full-time daily work schedule and my classes each evening from 5 - 9 pm. However, I made some great friends and we helped each other learn the new terms, medications and mechanics of working in a pharmacy. Not only did PMI give me my knowledge of pharmacy, it sparked a genuine interest in my field, thanks to the encouragement of my instructors. The foundation of hands-on skills has helped me progress through my career and continues to be one of the biggest assets I bring into any job. My externship site offered me my first job upon completion. 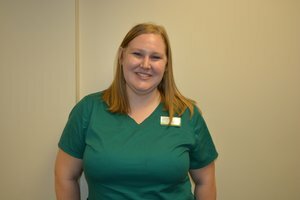 I held several pharmacy positions and after a year and a half I was promoted to pharmacy technician supervisor, where I worked until I began pharmacy school. I would absolutely recommend PMI to anyone new to the medical profession, and would especially recommend the pharmacy instructors! Thank you PMI, for my start in the healthcare field! I did not have a high school diploma and I was looking for a way to get a career in a short amount of time. When I saw a commercial for Pima Medical Institute, I decided to look into it. 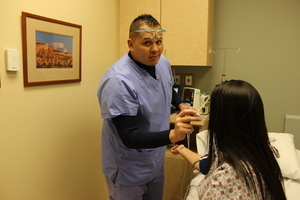 I was offered a chance to earn my high school diploma and soon after I started the Medical Assistant program at PMI. I had a great experience! The teachers made the classes easy to understand and they offered the help and guidance I needed. I had awesome classmates and made a few lifelong friends. One of the things that sets PMI apart is the instructors care about your education but even more, they care about you. Honestly, it is difficult to fail at PMI because they are determined to help their students avoid failure. They want you to succeed! I felt fully prepared for my career because of all up to date information and hands-on training. I found a dream job through the help one-to-one guidance and job placement assistance of the career services department at PMI. I am working for ASU Health Services at their downtown campus and I love it! I'm not stopping here and have plans to enroll in an RN program. I want to say THANK YOU to all my instructors who cared for me and guided me to this amazing career! I would recommend Pima Medical Institute to anyone! After graduating from high school I wasn't sure what I wanted to do with my life. However, I had always pictured myself in the medical field. I am fascinated by teeth and feel as though they expressed who you are as a person, aesthetically. So, I decided to look into a dental career. After researching, I found Pima Medial Institute to be affordable and their classes fit into my work schedule. Therefore, I enrolled in the Dental Assistant Program. I fell in love with the program! It was challenging and my days were long, but I appreciated the structure of the classes. My instructor was just amazing! She taught us everything we needed to know to be successful in the dental field. As I began my externship, I felt very well prepared. Our instructor provided the preparation to help us feel confident and comfortable stepping into this role. I felt anxious, but it was because I just wanted to get started working with real people instead of our practice dummies. I felt ready! The dental office appreciated the training I had at PMI and, even though they weren't really hiring, they were so impressed with my knowledge and work they offered me a position. I want to continue my education in this field. I am currently deciding whether to continue with my associate degree in dental hygiene or if I want to go on and obtain my doctorate. I am so grateful for my instructor and for the start PMI gave me in this field. I was driving past Pima Medical Institute one day and noticed a sign for their EMT program. 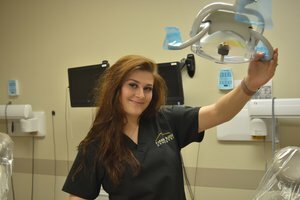 When I stopped in and my advisor told me about the Medical Assistant program, and I learned I could finish in 9 months while still working full-time, I decided it was for me. I fell in love with the MA program! My life pretty much fell apart while I was a student at PMI. My mom was diagnosed with stage 5 renal failure and was in the hospital for months. I worked a 40-hour-a-week job during the day, attended classes in the evening, and squeezed in visits with my mom. My mom and I had shared our bills, and I couldn't keep up financially without her. I received an eviction notice and eventually lost my car. I felt like I was suffocating. During all of this, my instructors and classmates supported me, and Pima helped me with food boxes and other resources. I came to school on the night my mom died because that's where my support was. Emotionally, I could not have asked to be surrounded by a better group. Pima's amazing people - from instructors and student services to career services and front desk staff -- are the reason I kept going and didn't quit school. I ended up being hired by my externship site, and I've now moved on to another employer, but I have to say that I just love getting up in the morning and going to work as a Medical Assistant. I've never been able to say, "I love my job!" before. I am so utterly grateful for absolutely everything Pima Medical Institute has done for me. I don't know where I would be without them. Thanks, PMI!